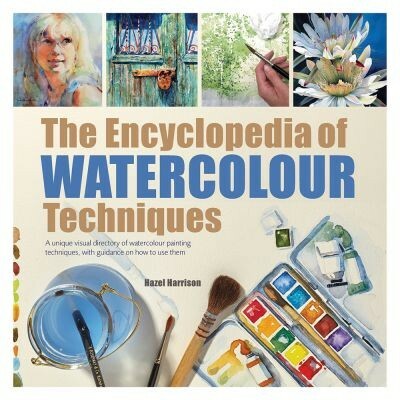 A new, up-to-date edition of the popular and comprehensive encyclopedia by professional artist Hazel Harrison. Ideal for artists of all skill levels, this exhaustive reference covers a multitude of areas concerning watercolour. The book is divided into three sections: the first covers the essential materials and tools you need to get you started on your watercolour journey, and how to set up your indoor and outdoor working spaces. The second provides step-by-step demonstrations that guide artists through a variety of techniques, from basic washes through to creating special effects using salt and wax resist. The third and final part tackles picture composition, from guiding readers on how to choose their palette and how to work with different lights, to understanding important concepts such as perspective and spatial depth. This resource provides a wealth of stimulating ideas to help artists both amateurs and veterans develop their own impressive watercolour painting style.